A 4-5 minute video montage highlighting the best moments of the day. Same special effects used in weddings montages but a bit more colorful with background music of your choice. A sweet sixteen/Quiceañeras, like a wedding, can be extremely formal, casual, or semi-formal. They can range from modest parties at home with close family to large affairs with a hired DJ, makeup and hair stylists, yachts and hotel ballrooms. The father-daughter dance is a tradition that is also frequently performed at weddings. The girl and her father dance to a slow-jazz song while everyone sits and watches. This is usually the first song of the night. 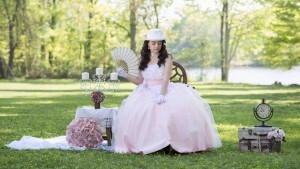 Melanie’s Quinceanera Highlights This is a Quinceanera Highlights Video created for Melanie. Reception was held at The Place On The Lake, East Brunswick, NJ. The video was captured by 1 videographer. This video was captured and edited by New Jersey leading Wedding Videography & Wedding Cinematography Studio – New Jersey Videography – East Brunswick, NJ. Do you have questions about Sweet 16/Quiceañeras Video or to our NJ videographers and wedding photographers? 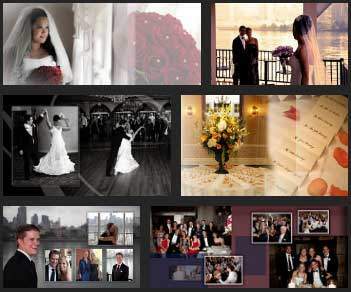 Would you like to schedule an appointment with nationally recognized, best videographers or NJ photographers? Please contact our event cinematography or photography experts for a FREE consultation. During your initial consultation we offer a wide variety of photography and videography samples including Wedding videography, Bar Mitzvah, Sweet 16, Anniversary Video and discuss pricing options. We offer photo and video package discounts.